i absolutly love dis fone and i am getting it next week i have never seen a nicer lookin fone i love it!!!!!!!! Well i believe that this nokia 7260 is amazing and i am going to buy this cell very soon and experience the best with it. Does this phone have bluetooth? how many sms messages does this phone store? this phone is the bomb, i'am the don, i'am pour homme. does anyone want pegs? GOT LOADS!! Well i happen to LOVE my 7260. It does everything that i need a phone to do, i find it easy to sms, has good standby and talk time, memory suits my needs and looks great. 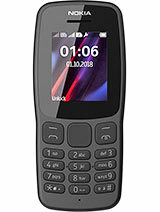 this fone is really good,stylish,retro and unique,a selling feature that caught my eye was the radio coz im forever on the road using public transport.ideal if u think outside the box.yeah!!!!!!!!! My mum just bought this fone and u can record videos for 15 seconds and You can voice record for 5 mins The camera is a bit rubbish for the price of this fone but other than that i think its kool. example camera, standard mode, scroll once portrait mode, scroll twice for night mode scroll 3 times for video. Didn't have mp3 player and no video player. Thanks you. Nokia make very reliable phones. 7260 is a fashion phone, standby time is good, reception is good & is a nice looking phone for a girl( especially in white color ). The downside is that the screen is a bit on the small side but they are still very clear. If you are not looking for a lot of features in a phone, 7260 is not a bad choice at all. I have to decide between the Sony Eric K700 or the Nokia 7260 for a replacement phone. I originally had a SE T610 and thought it was absolute crap. It always froze, the joystick played up, and I completly HATED messaging on it! It was so slow and i always needed to wait for IT to catch up! I know the features on K700 are better, but if it's as slow or anything even like the T610, I'd rather go back to using the Nokia. Any help with what would be better would be appreciated!! What memory has the 7260? ?This is an excelent phone bot i think his memory is little! !What's your oppinion? Total of 555 user reviews and opinions for Nokia 7260.